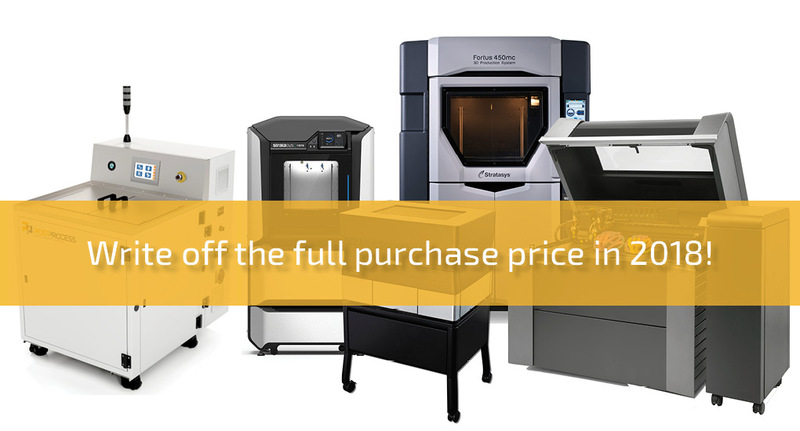 Section 179 of the IRS tax code allows businesses to deduct the full purchase price of qualifying equipment (e.g., a 3D printer) and/or software purchased or financed during the tax year. That means that if you buy (or lease) a piece of qualifying equipment, you can deduct the FULL PURCHASE PRICE from your gross income. It’s an incentive created by the U.S. government to encourage businesses to buy equipment and invest in themselves. 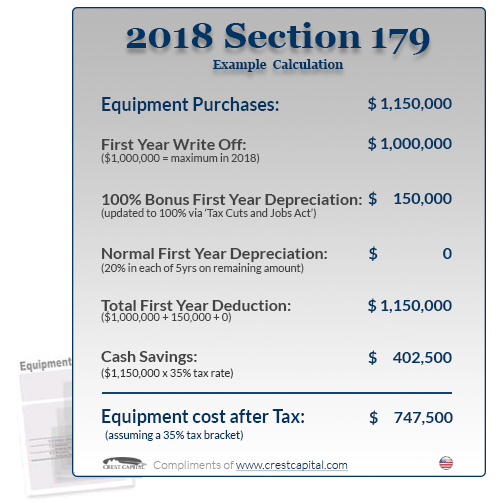 The most important difference between Section 179 and Bonus Depreciation is both new and used equipment qualify for the Section 179 Deduction (as long as the used equipment is “new to you”), while Bonus Depreciation has only covered new equipment only until the most recent tax law passed. In a switch from recent years, the bonus depreciation now includes used equipment. The above is an overall, “simplified” view of the Section 179 Deduction for 2018. For more details on limits and qualifying equipment, as well as Section 179 Qualified Financing, please read the entire website carefully. Check out the Section 179 Deduction Calculator for 2018 to help you figure out how much you can save!